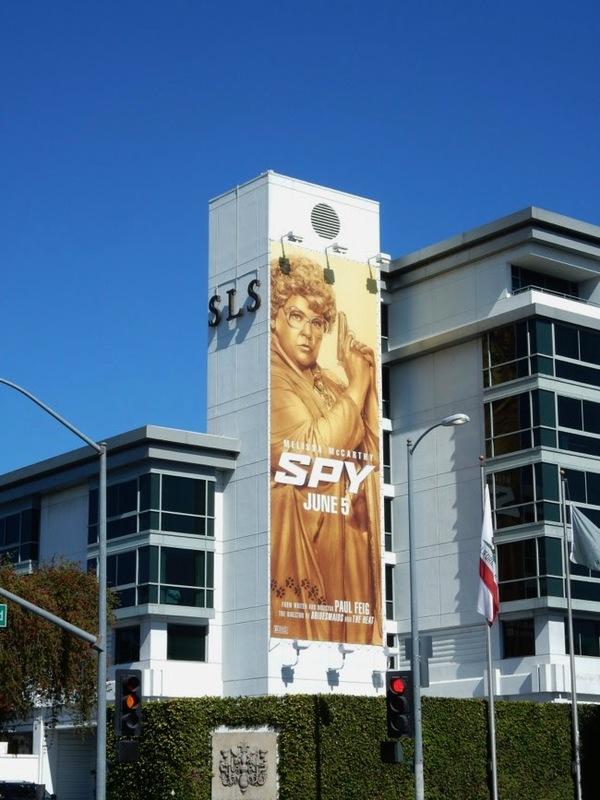 Melissa McCarthy is back to tickle your funny bone this Summer, and this time she's taking a leaf out of James Bond's book and emulating his 007 Skyfall billboard to grab your attention for her latest comedy, Spy. 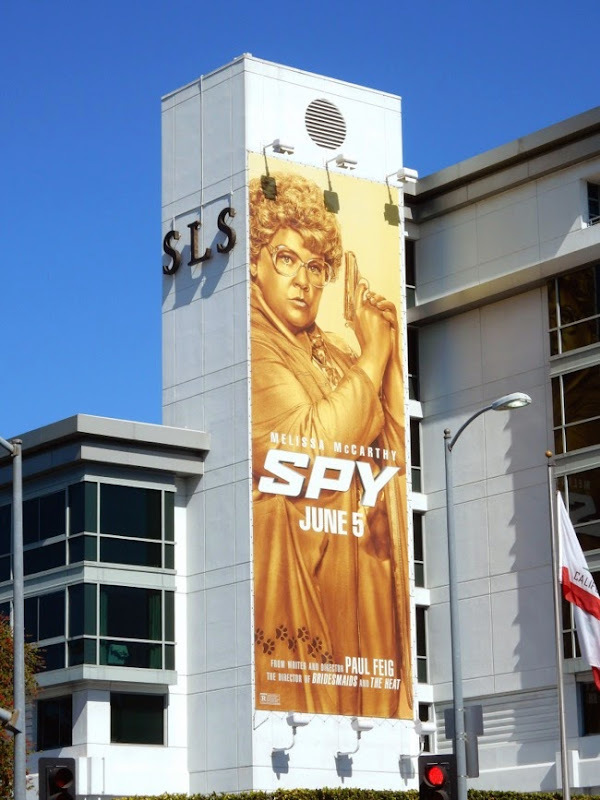 She's even doing her best Goldfinger impression in this other ad creative for the espionage movie from Paul Feig, the director of Bridesmaids and The Heat. In her latest funny flick she's going deep undercover and trading in her desk-bound CIA analyst job for a wig and gun, to venture into the field to infiltrate the world of a deadly weapons dealer and avert disaster on a global scale. These billboards are just wonderfully absurd, as how can you imagine someone looking like she belongs in an episode of The Golden Girls be humanity's last hope against the latest criminal mastermind. 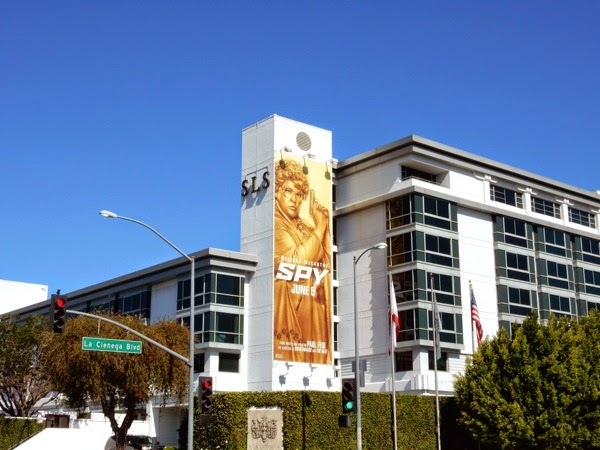 These hilarious landscape Spy billboards were spotted along La Cienega Boulevard and Wilshire Boulevard, whilst the golden-hued portrait version was snapped on the side of the SLS Hotel Beverly Hills on May 1, 2015. 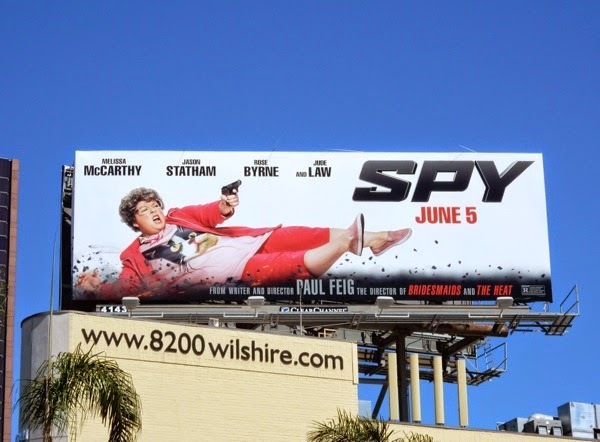 If you're a fan of the Mike & Molly actress, you can also check out Melissa McCarthy in these movie billboards for The Heat with Sandra Bullock, these Identity Thief film billboards with Jason Bateman and solo in these Tammy billboards. 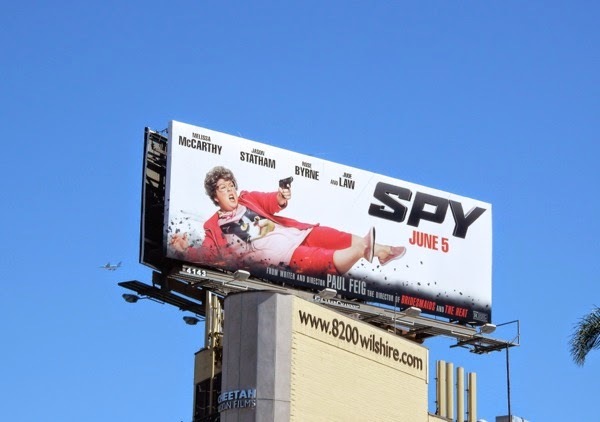 From the looks of these Spy billboards, bullets are going to fly and laughs are going to erupt all over this June.